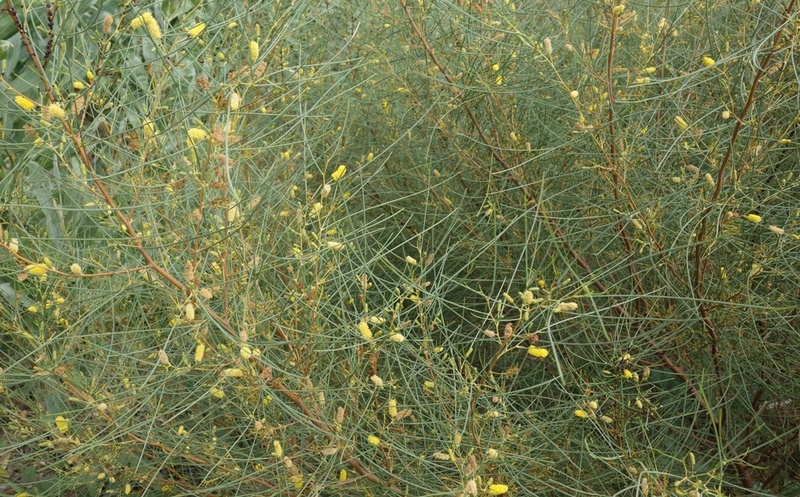 Fine-leaf shrub to 2m, found near Wolfe Creek Crater and also seen at the Edgar Range, yellow cylindrical flowers with thin coiled seed pods and very small seeds. This entry was posted in Acacia and tagged Acacia tenuissima. Bookmark the permalink.